The connection filter lists all connections in your project. You can specify which connections you want to see in the table. Data filters allow for even more precise data filtering. 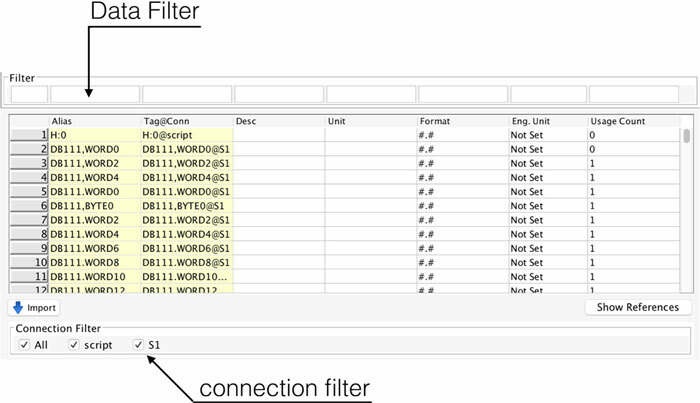 You can filter based on any column in the tag database table. Just enter the expression into the Filter at the given column. You will see immediately filtered data in the table.